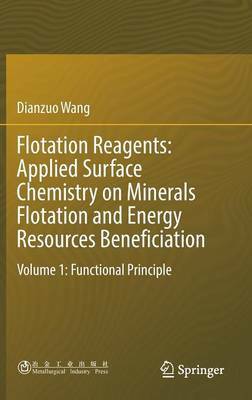 This book summarizes the author's findings on the functional principle of flotation reagents, gathered over the past few decades. The fundamentals of and approaches common to surface chemistry are applied to study the reagents' structure and performance, as well as their interaction with minerals. In particular, the book establishes the theoretical criteria for collector performance. It also includes the quantum chemistry parameters, steric configuration, HOMO and LUMO surface of various reagents. The book offers a valuable resource for all university graduate students, researchers and R&D engineers in minerals processing and extractive metallurgy who wish to explore innovative reagents and technologies that lead to more energy efficient and environmentally sustainable solutions.